Drugs with biological origins are still the mainstream treatments for many diseases. These drugs include antibodies, recombinant proteins, vaccines, etc. With technological progression and expending demands, hundreds and thousands of new biopharmaceutical drugs have been developed each year. However, successful development of these drugs relies on ensuring the quality, potency, and safety of your biopharmaceutical product, as impurity and defection of these biopharmaceutical products may compromise the efficacy and place potential risks when applied in clinical stage. 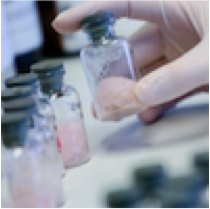 Therefore, evaluation of biopharmaceuticals is critical and necessary before clinical trials. To help solve the challenges in the developmental process of biopharmaceutical products, MtoZ Biolabs has established a comprehensive analytical platform for biopharmaceutical analysis, and is able to cover most biopharmaceutical related requirements. We strictly follow the International Conference on Harmonisation (ICH) guidelines of technical requirements for registration of pharmaceuticals for human use. *Apart from the above services, we can also provide customized service for other types of biologics and biopharmaceuticals. You are welcome to contact us for specific requirement related to these biopharmaceuticals.